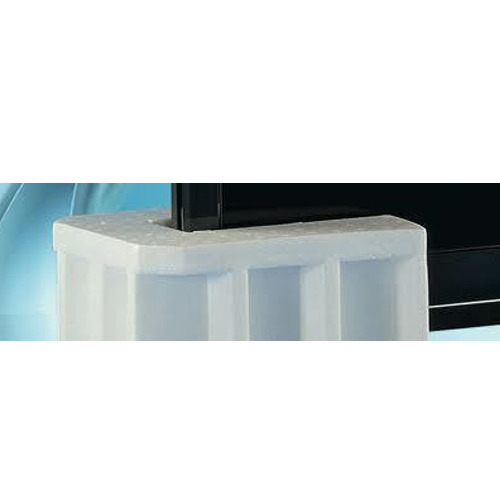 We are offering a wide range of EPS Thermocol (E-POR Thermocol) (Expandable Polystyrene), is BASF's crack resistant tough elastic foam with smooth haptics and excellent solvent resistance which can be stored, processed and recycled just like the classic styropor. We are looking queries from Mumbai and Thane. Established in the year 2003, we King's Pack are a prominent name in the market for manufacturing and trading Thermocol Boxes, EPS Thermocol, Thermocol Scrap, Thermocol Pack Material, Thermocol Shape Moulding etc. Special attributes of these products include durability, distinct shapes & sizes and light weight. We are registered under the Central Excise Act 1944 owing to which, our buyers can get Canvet benefit. We have also expanded our area of specialization by incorporating GEOFOAM in our product line with the support of BASF Ltd. With good insulation and high strength, this product finds its application in various areas including bridge approach, highway, embankment and parking lots. We are looking queries from Mumbai and Thane. The positive attitude that our employees carry adds another feather in our cap. Their enthusiasm towards developing and delivering quality range of products has proven highly beneficial for us. We also have a advanced infrastructure set-up which is fitted with ultra-modern machines and equipment. Here, the unit is segregated into departments, where each of department carries out different activities including manufacturing, quality testing and storage with perfection. Proximity to the roads is an added advantage owing to which all our products are timely delivered to the customers.